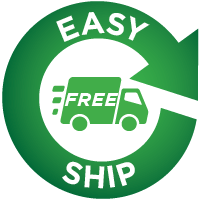 Get FREE Shipping and Save Up to $95! Never pay for shipping as long as you're enrolled. Save up to $95 per year. Never run out because we'll automatically ship your products on a set schedule. Sign up for Auto Delivery by selecting it at checkout or call Customer Service at 1-800-634-0905, M-F 8AM-8PM EST.